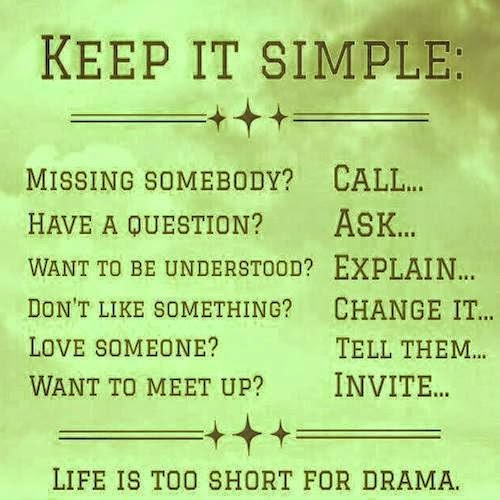 LIFE US TOO SHORT FOR DRAMA!!! That sentence needs more than a "." after it. I shared this on FB this week and lots of friends, even in person, commented on it. There are Better Things to Talk About Than Other People. This quote: "There is a 100% chance that you have not fully explored the deepest places of the heart and life sitting right in front of you. Rather than engaging in conversation about someone else, choose to ask deeper questions about the hopes, dreams, and fears of the people who are present." Written almost 3 years ago, this post is definitely worth a read. 5 Questions to Ask Before Posting to Social Media Social Media is amoral. It is neither good or bad. The users, we, are the ones who decide how we are using social media. I think these questions need continually revisited. George Clooney, Angelina Jolie and Me by Tim Challies. It was just good. We've gotten into stir-fry lately. It is quick and the recipes I have are chock full of vegetables. My kids are loving them. Which borderline surprises me. Normally their favorite thing at the Chinese restaurant is the Crab Cheese Rangoon. -In a bowl combine the soy sauce and honey. Cube the chicken and add. Toss to coat and refrigerate until ready to use. 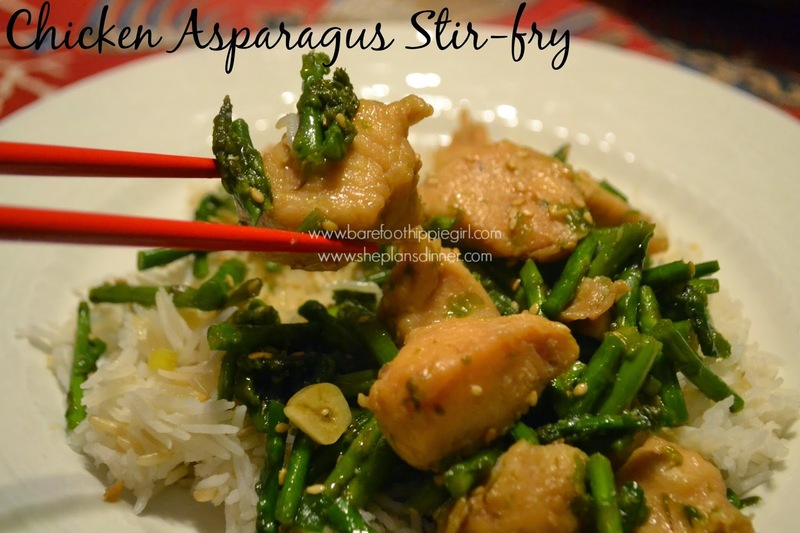 -Trim asparagus, and cut into 1” pieces. -In a large skillet, heat the oil over medium high heat. 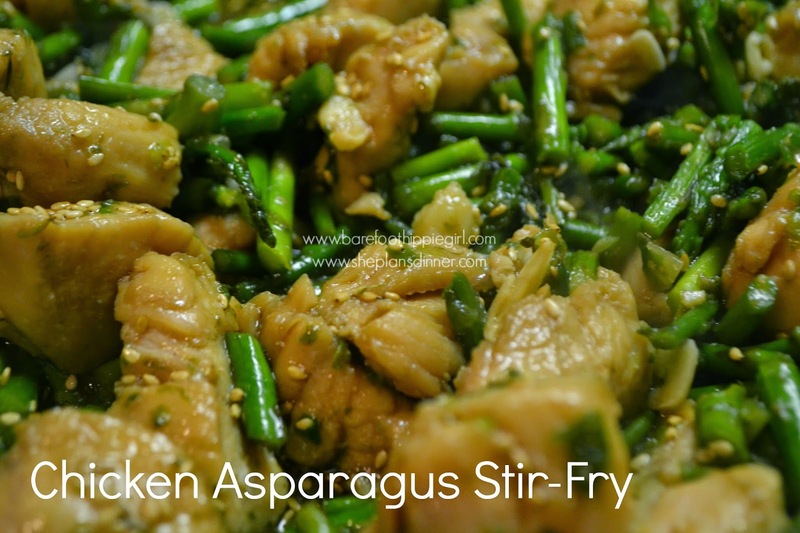 Add the asparagus and sauté until tender, about 5 minutes. Remove with a slotted spoon and set aside. -Thinly slice the garlic and the green onions. 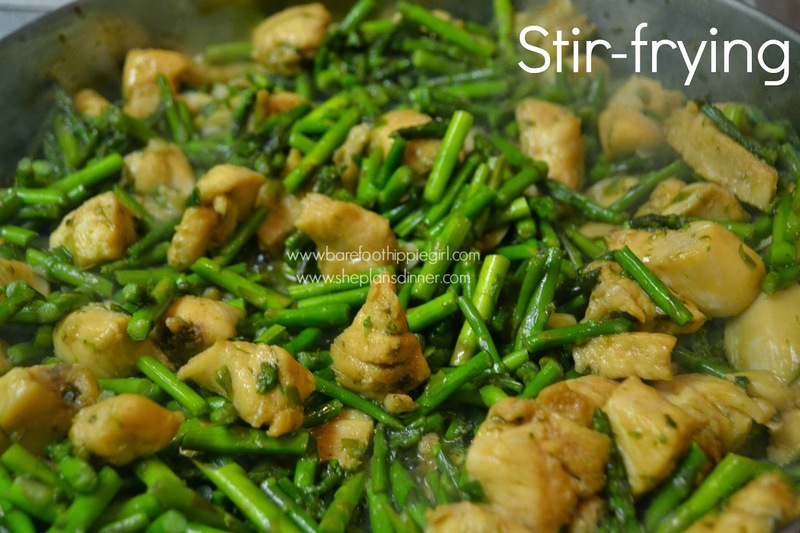 -Remove chicken from the marinade and add to skillet. Sauté until nearly cooked through, about 5 minutes. Add the garlic, green onions, and reserved marinade to the skillet. Saute for an additional 2 minutes until the chicken is cooked through and the garlic is fragrant.